I just ordered my Love Today planner kit and I can hardly wait to play with it. Also, I have the planner refill in my shopping cart. I'm really looking forward to a little daily journaling on the weekly sheets not filled with appointments or events. During the hot summer months, when people are beach going or otherwise vacationing, my calendar is pretty open. That's OK. Leaves me more time to journal and make cards, mini-albums and all those paper crafts we all enjoy. When I first saw the kit in the new 2017-18 Annual catalog, I thought "it's so pretty, but would I really use it?" So I asked my fellow Stampin' Up! demonstrators for input. Apparently, all of the kits are now from Stampin' Up! and not sourced from a partnership, so the paper quality is what you'd expect from Stampin' Up! I learned that all of the inks Stampin' Up! offers work great with this kit without bleeding through or pilling! FYI: one demonstrator cautioned against using the aqua painter on the planner kit and refill pages. Too wet! However, the ink pads, the fine tip of the Stampin' Write markers and the blender pens work well. Yay!!! Since my hands are not very strong (to squeeze the lid to the inked pad), I always order the reinkers (refill bottles) to drop a little ink into the pad lid for coloring with the blender pens. Oh, of course, I'll also play with the new watercolor pencils (with blender pens). Ooh, even the Wink of Stella pen would be great for applying ink or pencil watercoloring. Not sure how to use the blender pens, the markers or the watercolor pencils or have questions about other techniques? Click here for tutorials by Stampin' Up! Another great thing about this kit, the days of the months aren't labeled so you can begin using the planner any time of the year. Be sure to watch the Stampin' Up! video below for a better look at the kit contents and to have answered just about any question you might have about the Love Today planner kit. Instead of hand writing in the numbers, the fun Labeler Alphabet stamp set is a natural for entering dates and names, etc. (birthdays and other events) on the planner pages. I plan on using a different ink color for each month. Eg. Brights for summer, Regals for fall and winter, etc. Remember, the In Colors will be fun and pretty too. Find all of the ink pads here. Be sure to get the Journaling Pens too! The 2 pens have nice fine tips for entering lots of thoughts or events on each day. Remember to pick up at least the Clear Block A for stamping single digits/letters of the Labeler Alphabet stamp set. Better yet, also pick up Block G, Block H and/or Block I for longer words or numbers. For saving time and hassle, I decided to order the full Clear Block Bundle (2 in fact). And I love the Clear Block Storage Caddy. It actually saves space on my work bench to keep my 2 bundles in my 2 caddies. By now you've seen the great bits and pieces in the Love Today planner kit for decorating the pages, but you could also add goodies from the Memories and More collection of card packs. It just depends on your personality which and how many kits you'll want to combine and how much you want to play. Since I already have the Oh Happy Day card kit, I expect there will be at least a few leftovers after I make the cards to use in my planer too. Washi Tape and the flatter ribbons would be a nice accent too! Not a person who uses a planner? I bet you know someone who would enjoy as a gift the Love Today planner kit or one of the other beautiful kits, including a subscription to Paper Pumpkin. Ready to order a kit? Click here! Or shop the full line of awesome Stampin' Up! products by clicking here. PS Don't miss the clearance rack deals! I reminisce: In the late 1970's, while attending UCDavis, I had the opportunity to study art history with my fellow design students. Because we studied the work of Vincent van Gogh, many of us enjoyed posters of his work in our dorm rooms and apartments. Starry Night was a favorite of mine. And now: As a Stampin' Up! demonstrator for 19 years, I've learned a lot of artistic techniques using rubber stamps, inks, etc. Much of what I learn is via countless Youtube videos by other demonstrators, art journalists and mixed media artists, including Stampin' Up! UK. Tying it together: Because yesterday was the 125th anniversary of Vincent van Gosh's passing, an artist from Stampin' Up! Corporate, UK published her tribute piece in the van Gogh style using Stampin' Write markers. I think it turned out pretty darn great. Watch the video below to see how simple she makes the technique look. To me it appears the SU! artist was referencing another of my favorites by van Gogh, Sunflowers. Below is my screen capture from a site where you can buy the poster. I'm not endorsing the poster site. I just want you to see an image of the original. So now you've seen that the Stampin' Write markers aren't just for hobbyists. They can be used to create some really nice artwork. 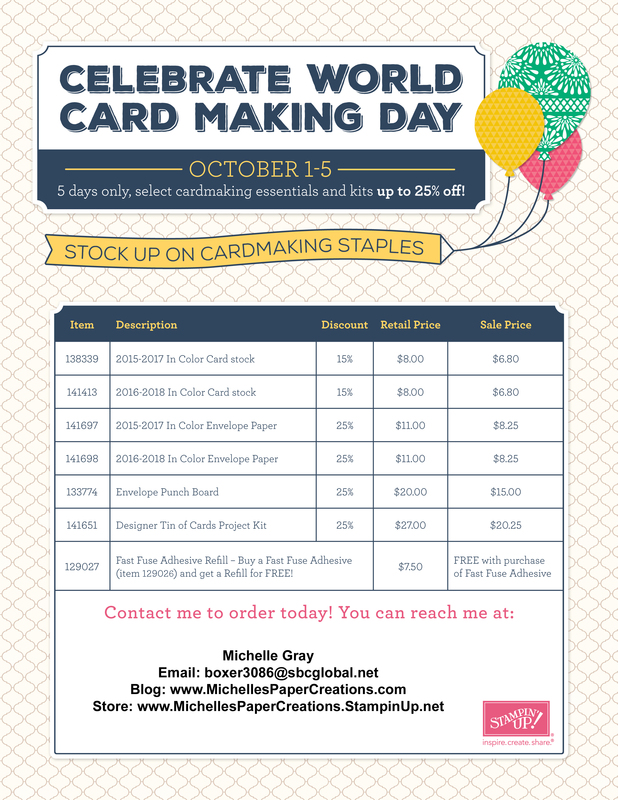 To order the Stampin' Write markers, please click here.